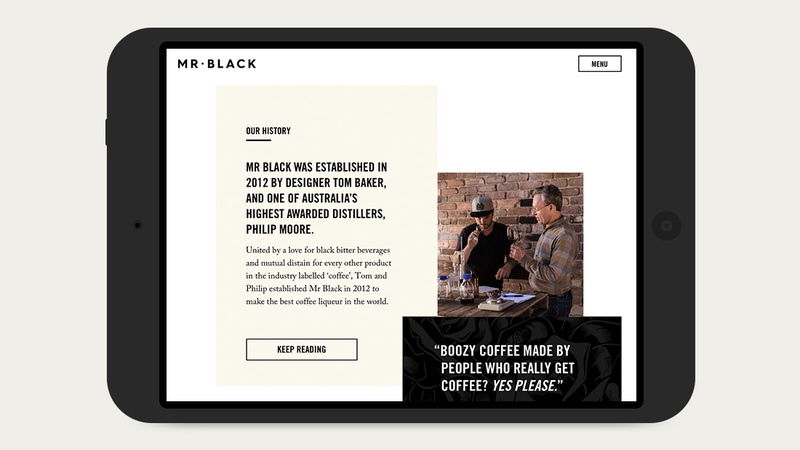 Inspired by their shared obsession with coffee and booze, friends Tom Baker and Philip Moore united in2012 to create a new breed of coffee liqueur; a beautiful marriage of cold press coffee and rich grain spirit. 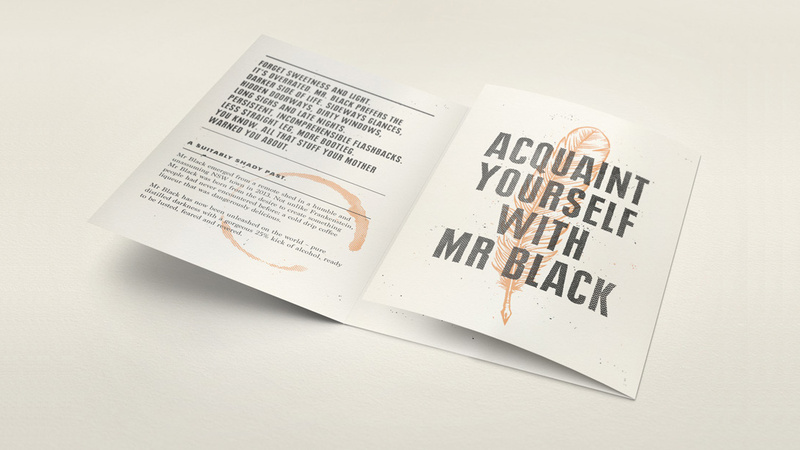 Entitled Mr Black, this dark, handsome beverage gives coffee-lovers a whole string of new excuses to indulge in their drug of choice. 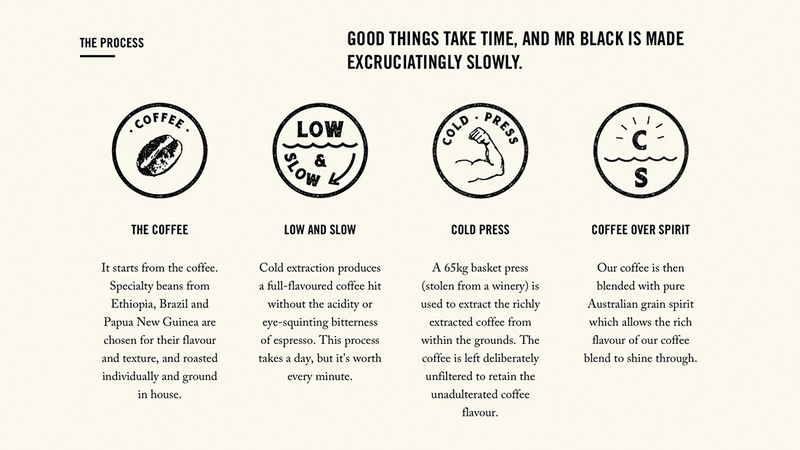 While the brand had humble beginnings, it wasn’t long before upmarket bars and restaurants across the world were clamouring for Mr Black. 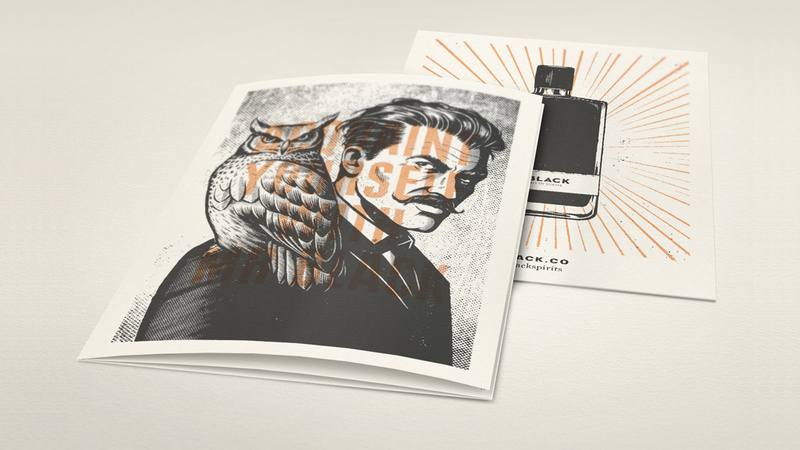 In 2015, Tom came to us seeking help in crafting a brand that was worthy of his product, and his discerning clientele. 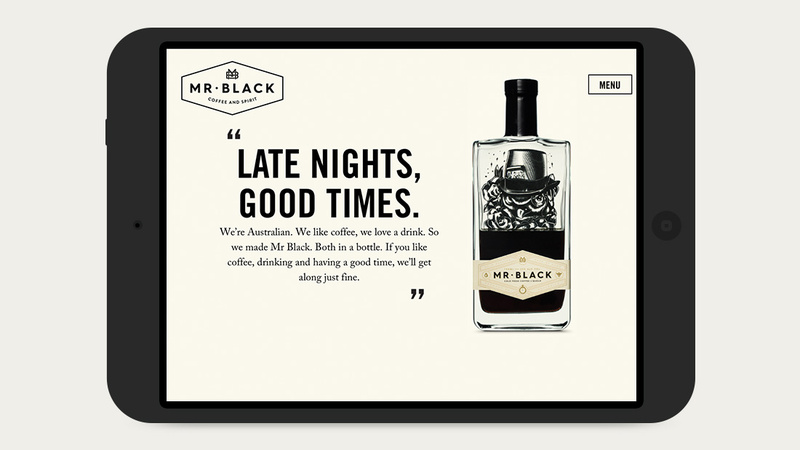 Embracing Mr Black’s dark side, we channelled Nick Cave to create a persona, brand voice and brand story that expressed the essence of Mr Black: a character that’s sharp, sophisticated and just a little bit dangerous. 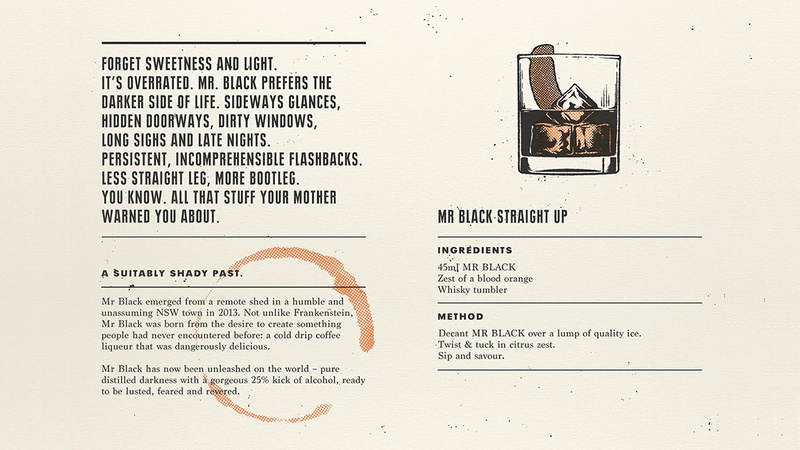 Together with design and illustrations by the wickedly talented Andrew Fairclough of Kindred Studio, this made for a striking identity that was applied to everything from the website to labels, brochures and bartender manuals (which combined the Mr Black story with cheeky cocktail recipes). It’s rare that a brand really doesn’t give a damn about the marketing popularity contest; instead choosing to appeal only to a niche audience who really gets it. 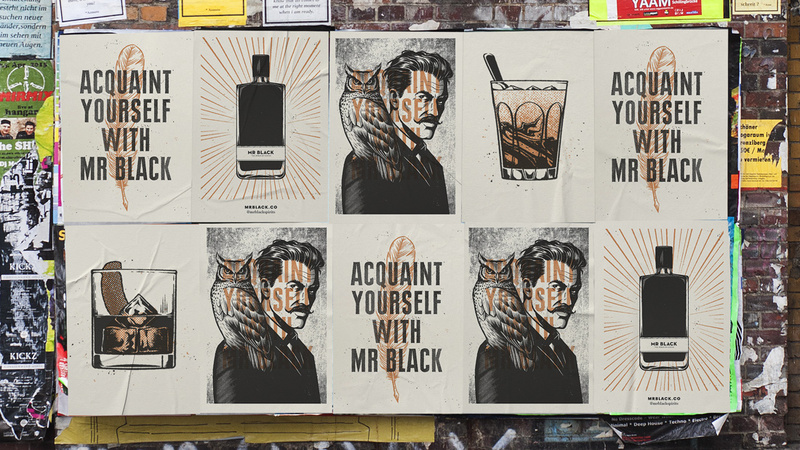 We loved the confidence and single-mindedness of the Mr Black vision: a product that’s born from passion bordering on obsession, and a brand that’s unapologetic about who it is. Mr Black, we salute you.